Our Face Recognition Software optimizes any network of CCTV cameras to automatically detect and recognize faces from short to long range, and at greater distances than any other Face Recognition Software. Reliable face matching with 4 times greater accuracy than any other Face Recognition Software in real-world deployments. Automatically create and grow your secure database of faces and watchlists, from matching just a few hundred faces to recognizing many millions in near real time. Automatically capture 100 times more faces than any other camera. Capture over 15 times more incidents than any other camera. Supporting Safe and Smart Cities, people can be automatically allocated to and checked against red, black and green security watchlists, for alerting national security staff and to be followed automatically. Example 1 – A VIP or a suspect can be automatically followed through a city, and live reports of incidents and events that may affect them can be sent to the security staff as either alarms or simply as situation awareness. Example 2 – For the most effective and efficient border security, it is critical to have the ability to allow and disallow people and vehicles in or out of certain areas, without creating unnecessary delay. The flow of people, vehicles, face and identity checks through certain areas of a security enterprise using Viseum surveillance solutions, can be optimized based on an effective balance of the site’s day-to-day operations and security threats. 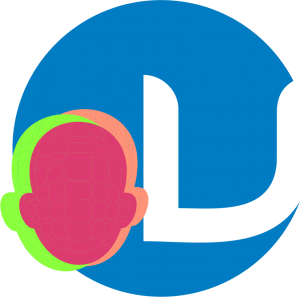 Face Matching – 7 pixels between the eyes minimum. Real-world Environment Test Set – Matching Accuracy – 99.5%. The performance of each installations automated alarm reporting is further optimized with the use of Viseum iVOS Adaptive Deep Learning Algorithms. This enables your CCTV operatives to intuitively characterize alarms to automatically adapt the systems algorithms, their parameters, and thresholds. Face Recognition Software is a new commodity product and procured by price competitive tendering, in which Viseum does not participate. During border crossings, it is therefore common for legitimate travellers to fail face recognition but then pass interviews with border security personnel. Some of our Automated National Security Surveillance Technology Strengths are in uniquely matching people using different visual biometrics, to cross-check this information to their actions, locations and any access control information, and to automatically follow them. Basic Example – A person walking through a customs border consistently hiding their face when passing CCTV cameras. 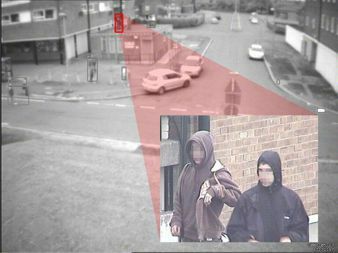 This can be automatically alarmed as high-risk suspicious behaviour, the unique Viseum Panoramic Security Camera automatically follows them to capture and cross-check their faces against databases of wanted suspects. The Viseum Face Recognition Software was recently tested by a major financial institution in London, who compared it with another well-known face recognition system they already had in use. This customer highlighted significant advantages, with accuracy, system design and operational benefits of the Viseum iVOS FaceRec software. For a major international hotel in the UK, the Viseum Face Recognition System was left on 24 hours a day to detect and identify persons entering and leaving the hotel entrance. Viseum iVOS FaceRec automatically captured and re-identified 270,000 facial images during a 3-day period. This matched the hotel’s register of guests with a 97.8% accuracy. During a shopping mall’s highest seasonal shopping period, Viseum FaceRec successfully re-identified 758 faces from black, white, coloured and all skin variations. Our nearest rivals running the same test in parallel only collected and identified 187 white faces. During this test the customer was so impressed with this capability, a webcam was also attached to the hotel’s ATM machine, and with 100% accuracy, it allowed only the hotel’s residents to use it. During all of these tests, our iVOS FaceRec software also displayed excellent accuracy for its unique partial face identification capability. For example parts of faces showing but with half-hand coverage or momentary “odd” facial expressions. No other Face Recognition technology can achieve this. MFO (Multinational Force & Observers) – Supervising the implementation of the security of the Peace Treaty between the Arab Republic of Egypt and the State of Israel. Viseum FaceRec System captures images of people, identifies the faces in the image from the full scene and then stores and indexes each facial image. Multiple still images are captured of each person in order to build a better profile on the database and also for our video software analytics to anticipate a changing appearance e.g. glasses, beard, ageing, etc. 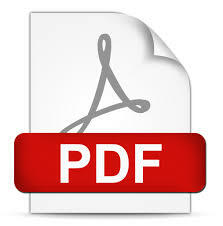 Our integrated software systems use a web protocol indexing and facial matching platform. This data management expertise allows our Viseum FaceRec Software to automatically identify from the relevant camera anywhere in the network, and open the pre-configured comparison database table of captured images. Whilst aiding network design and operational performance, this also supports enrolling new faces onto the system – during this secure process all registered faces and live captured faces can be investigated to ensure that false system enrolment cannot be allowed. With state-of-the-art cameras, facial recognition software, database technology, and centralized and/or decentralized flexible system architecture, there is no limitation on the number of faces to manage, or size of CCTV network. This allows unlimited databases with an unlimited number of registered faces, to be tracked, logged and managed on the relevant watched lists. Multiple face matching algorithm cross-checks system – delivering best accuracy. Fast and easy searches of multiple databases at one time. 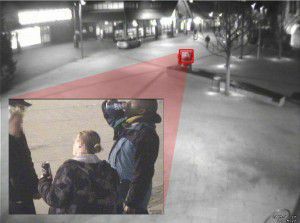 Integrates with the Viseum Panoramic CCTV Camera – captures face images up to 100 m and in every direction up to 360°. Automated person identification and re-identification with automated face recognition. Any number of face databases, tracking logs and watchlists. Real-time face detection and indexing from multiple live and recorded video sources. Secure web reporting capability (text, email, audio/visual alarms). External API available for integration into other systems. Digital Input/Output for face matching event alarms. Under many countries’ data protection legislation, there requires manual intervention as opposed to a totally automated procedure. Viseum FaceRec allows the user to manually compare faces from the database with the face just captured. Finding and following persons of interest or missing persons. Authorised access to highly sensitive and secure areas. Bank ID checks (ATM, cash in transit, etc).